St. Patrick’s Day is the one holiday I refuse to decorate for. I’m zero percent Irish and I don’t drink beer. So why bother, right? I do however make the day festive for my kids sake. 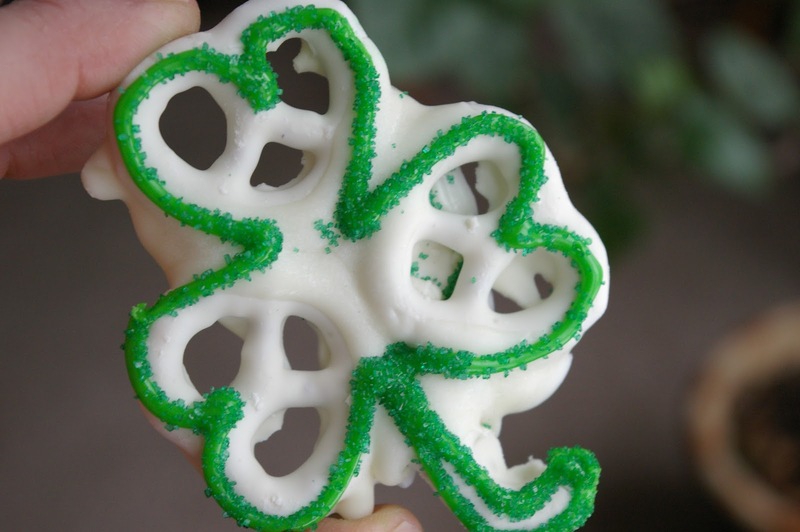 These darling little Shamrock Snacks found over at Sun Scholars may just find their way into Grant’s lunch on the 17th. They are TOO cute and made out of yogurt covered pretzels. So.....healthy too! Click HERE for the directions.